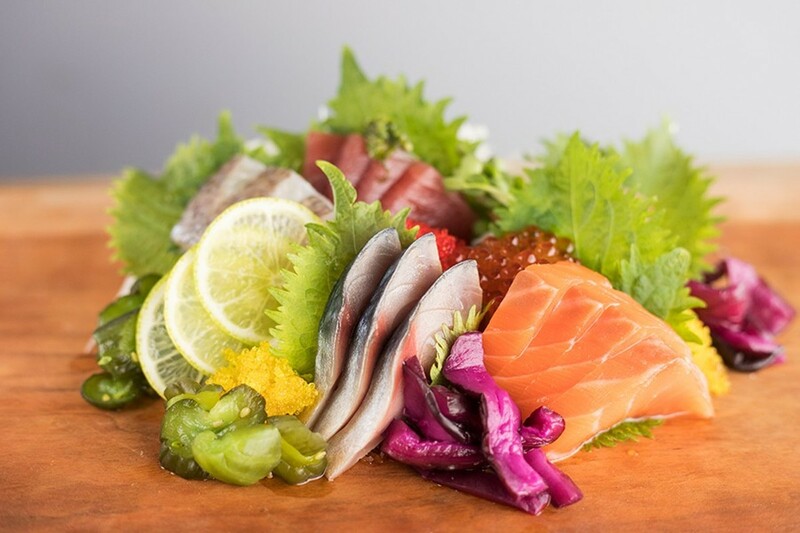 Sashimi moriawase comes with cuts such as salmon, yellowfin tuna and mackerel. 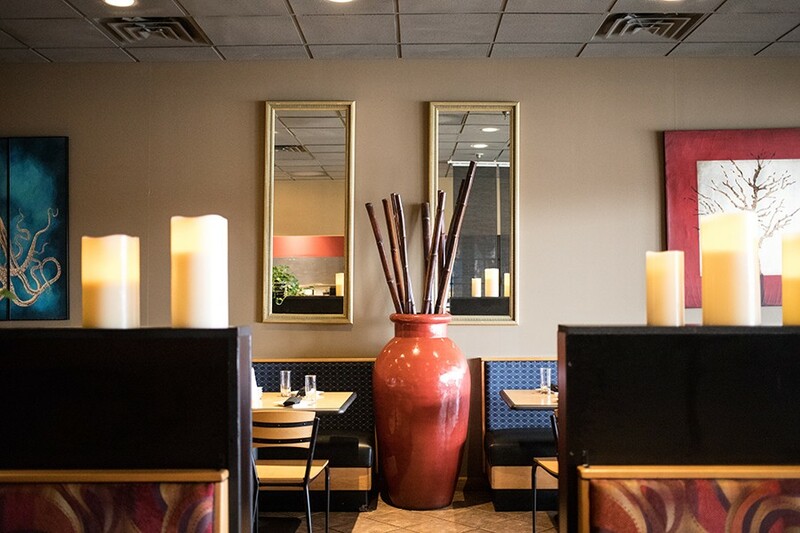 Not long after returning to Nippon Tei, the west county Japanese restaurant he basically grew up in, Nick Bognar ran into an old friend who had been dining there for years. Happy to see a familiar face, the friend asked Bognar what it was like being back in the same place where he started cooking. For Bognar, the answer was simple: "I'm not." 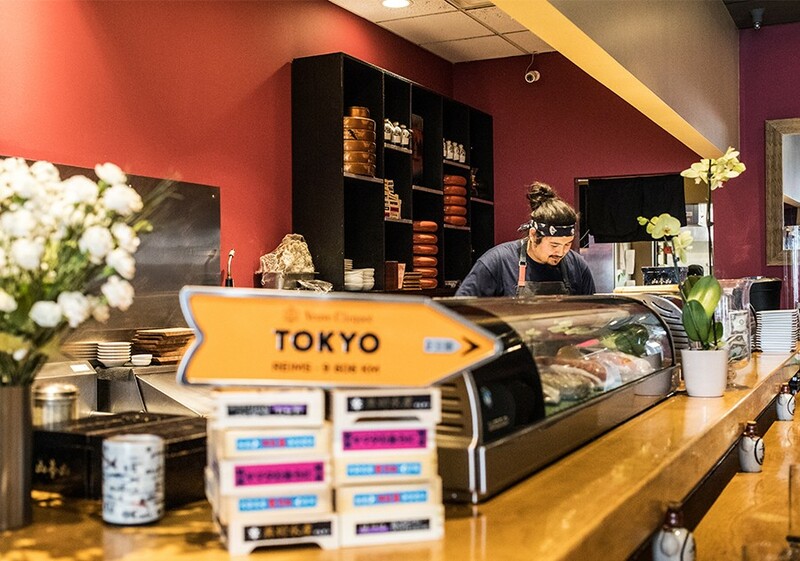 Technically speaking, Bognar is indeed back where it all began — in a strip-mall storefront at Manchester and Weidman roads, cooking and preparing sushi at the restaurant his mom opened when he was just ten years old. And yet, these days, the place is utterly transformed, with Bognar himself serving as the catalyst. Now that he's in the kitchen, Nippon Tei is not simply a different restaurant — it's the best sushi restaurant in town. His roots in this kitchen are deep. As a kid, Bognar helped his mom by rolling crab Rangoon and egg rolls and eventually learning how to prepare sushi. Chef Nick Bognar has transformed his mother's longtime restaurant. The kitchen spoke to Bognar in ways that school did not, and he began taking culinary courses through a local technical college while he was still in high school. After graduation, he enrolled in culinary school at St. Louis Community College-Forest Park, all while continuing to assist at Nippon Tei. 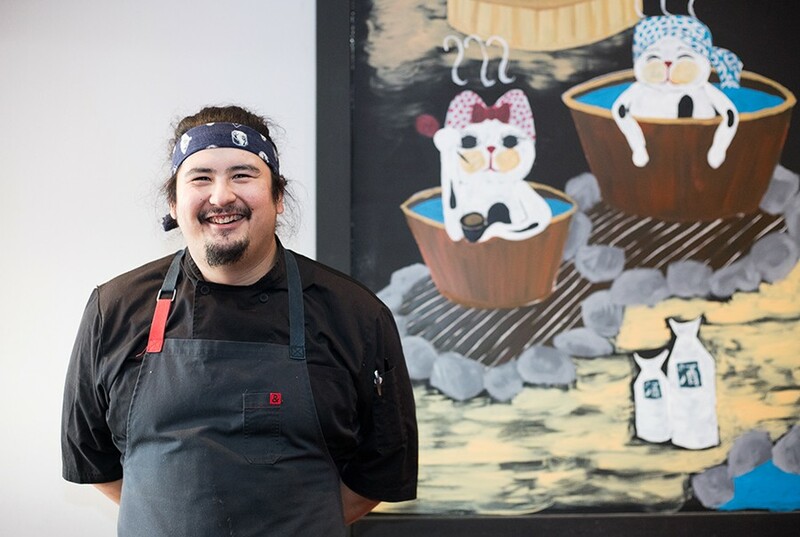 Though he worked at a few different places around town, namely his family's other restaurant, Tei Too, as well as Wasabi Sushi Bar, Bognar felt that he needed to get away to cultivate his own culinary identity. 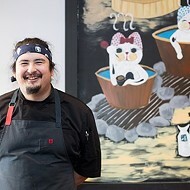 In Austin, Texas, he got a job at the renowned Japanese restaurant Uchiko. The experience proved seminal, pushing Bognar to rethink much of what he had learned not just about sushi, but also what it meant to be a restaurant professional. He used his experience at Uchiko to land a gig in Cincinnati designing and then running the sushi program at a new restaurant. After a few years, however, his mother told him she wanted to shake things up at Nippon Tei. 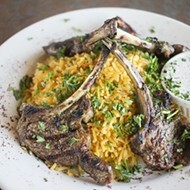 Though the restaurant was a success, it was approaching the two-decades mark, and she felt it needed to be refreshed. She invited Bognar to return not simply as an employee, but as co-owner, with complete creative control over the restaurant's direction. 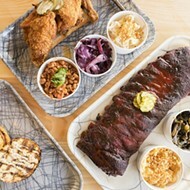 Bognar seized upon the opportunity to create a dining concept that would pair what he learned in Austin and Cincinnati with his ambition to keep pushing himself in his craft. In the summer of 2017, he indeed found himself back at Nippon Tei — and got to work on its transformation. The dining room hasn't changed nearly as much as the menu. Walking into the restaurant, you might not immediately realize how dramatic the change has been. 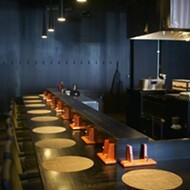 Bognar has kept the utilitarian black-accented blonde wooden tables and chairs, Japanese-inspired artwork and red and slate-blue color palette. As soon as you are seated, however, you'll see a menu that has been completely rethought. Some of the Japanese staples from the former Nippon Tei are still there, but they've been refreshed by Bognar's deft hands. Gyoza, the ubiquitous dumpling dish, is unlike any other version in town, their wrappers paper-thin and crisped so that they form little fried crunchy bits around the edges. 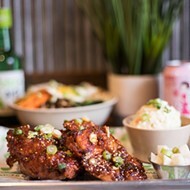 Inside, minced pork and chicken are enlivened with fried garlic and scallions, giving each bite a pungent kick. They're exquisite golden-fried wonders, as are the tempura prawns, which feature tender shellfish coated in a light-as-air batter. Aioli made with shiso, an herbaceous, leafy plant, adds a verdant note. 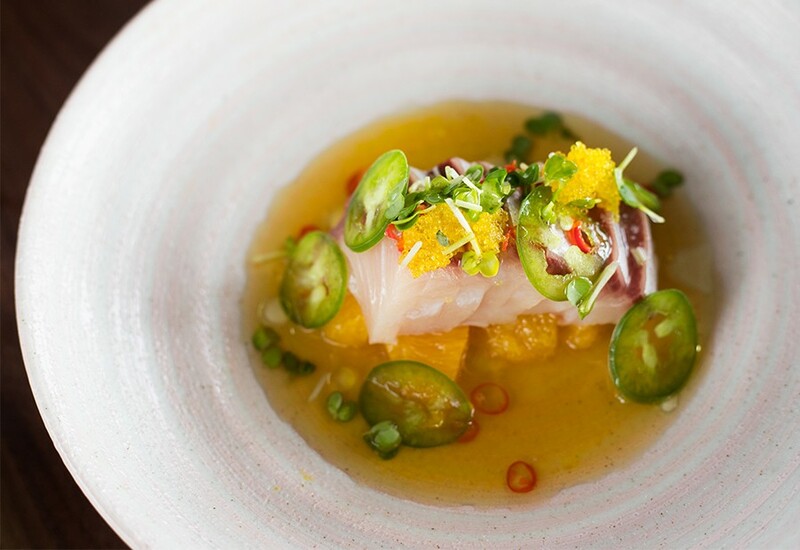 Hamachi crudo combines yellowtail with citrus and jalapeno. Hamachi crudo and tuna tartare provide a sneak peek of Bognar's skills with raw fish. For the former, slices of the pearlescent fish are dressed with ponzu, then accented with small slivers of orange. Pops of heat in the form of tiny sliced chiles break through the sweet citrus. Both the sweet and spice enhance, but do not cover up, the shockingly fresh hamachi. The tartare pairs cubes of tuna the color of rubies with Thai chiles and shiso aioli. The combination of spice and refreshment is exquisite, but the highlight of the dish comes from the slivers of cashews tossed in with the fish. The nuts provide a contrasting crunch that is simply stunning. Studded with black sesame, the accompanying rice crisps are useful not only for eating the tuna, but add dramatic visual appeal, sitting aside the fish like large waves of water. Bognar offers Japanese A5 Wagyu beef (the highest grade) for guests to sear over a hot stone. You can tell just by looking at the shockingly marbled slivers of meat that this will be a superb dish, and as soon as the beef starts to sizzle on the rock, the intoxicating aroma confirms it. All it needs is about ten seconds on each side — enough to give it a bit of caramelization but not so much as to overcook it. When it's finished, it positively melts on the tongue as if it were beef butter. Bognar smartly pairs it with ponzu to cut through the richness, but I wanted nothing to interfere with the taste of pure, meaty pleasure. 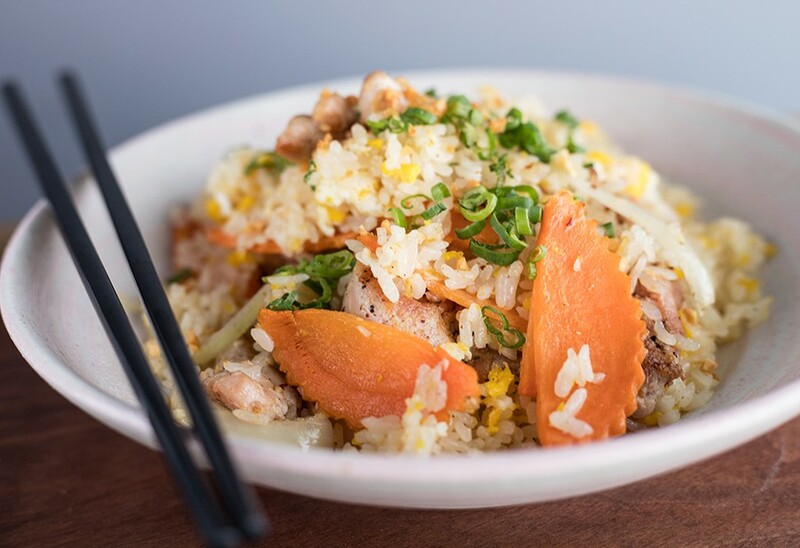 This is fried rice worth ordering. I hesitated to order the chicken-fried rice but was persuaded by my server, and I will be eternally grateful for her insistence. This is, unquestionably, the best chicken-fried rice I have had, and probably will ever have, in my life, a deeply savory and umami-laden dish of pure comfort. Grains of rice, slicked with oil and soy sauce, are fried with onion, egg, carrot, scallion and hunks of chicken thigh that are so succulent, you'd think they were poached in butter. 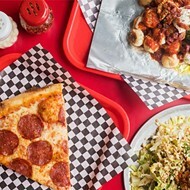 The dish's piece de resistance, however, is the fried garlic that Bognar liberally adds to the mix, giving it a deeply pungent undertone that lingers long after you've had your first bite. It's haunting. No less impressive are the chile garlic noodles. Here, long, medium-sized noodles are tossed with braised short ribs, resulting in the noodles being gilded with beef fat and cooking jus. Bognar underscores the intense beefy flavor with funky black garlic, roasted chiles and togarashi gremolata to counter the richness. If Bognar were not such a sushi powerhouse, he could open a restaurant serving only these noodles and have a line out the door. 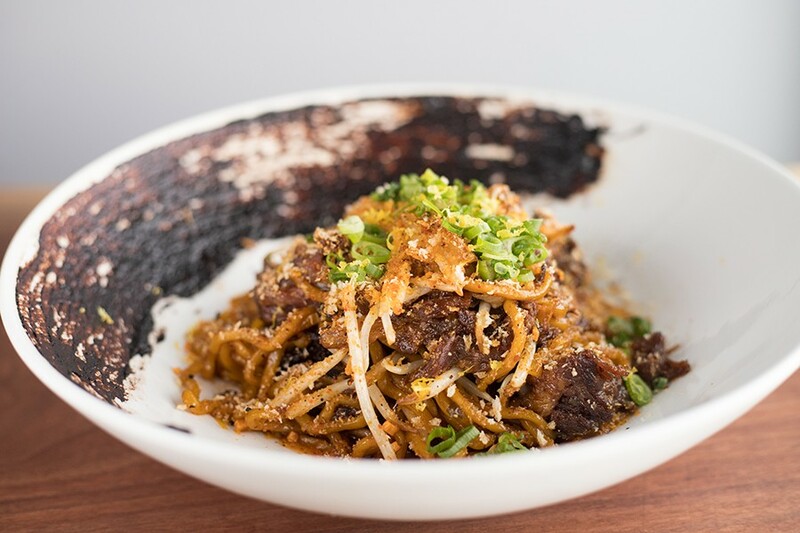 Braised short-rib garlic noodles include black garlic, roasted chiles and togarashi gremolata. But Bognar is indeed a sushi powerhouse, and what he is doing for the form in St. Louis is nothing short of breathtaking. Of course, he offers several varieties of rolls, and although they share names and basic composition with what you'll see at other local sushi spots, they differ in quality and care. A spicy tuna roll, for instance, places the beautiful, jewel-toned fish center stage, with the chile oil, subtly sweet chile-garlic sauce and tempura crunchies playing supporting rolls. A "Zen Maki" pairs spicy crab with salmon sashimi and salmon roe, the richness undercut by preserved lemon. Another highlight is the "Sake San" roll, which takes the sashimi salmon and salmon roe of the "Zen Maki" and wraps it around a center of spicy salmon skin. This not only deepens the salmon flavor but also adds a welcome crunch that is enhanced by lightly torching the roll. As satisfying as the makimono may be, the sashimi and nigiri offerings are the best ways to experience what Bognar is capable of doing. You can order à la carte, but you'd be better served by having the chef compose a selection for you in his sashimi moriawase. Here, Bognar and his team assemble twelve pieces of the evening's best sashimi offerings, presenting them as if they are presenting the sea's bounty to Poseidon himself. Yellowfin tuna as meaty as filet mignon, salmon so luscious it coats the tongue, sake toro, or salmon belly that is like salmon's more voluptuous and sexier best friend — together they are composed like a centerpiece, garnished with roe, leafy vegetables and accoutrements. It's an edible masterpiece. But even if you tear into the sashimi moriawase, you should be much more intentional with the nigiri omakase. A five-piece affair meant to be enjoyed by one person per order, it's like a miniature tasting menu, each fish a progression. It might begin with the soft opening lines of something as delicate as hirame, kissed with just a whisper of citrus, and work up to the crescendo of otoro, or tuna belly, its thick, meaty flesh a revelation. Bognar is so restrained, yet so proficient, he allows the impossibly fresh fish to speak for itself, adding only a touch of enhancement, such as chives or zest, here and there. You'll want to put yourself in the chef’s hands at this sushi bar. That restraint is shown on Nippon Tei's signature dessert, the Japanese cheesecake, which is decidedly less rich than its name suggests. Here, yuzu curd replaces the standard cream-cheese-and-lemon concoction typical of American-style cheesecakes, resulting in a fluffy, citrus-forward confection that is accented with almond praline. It's a satisfying end to the meal that doubles as a palate refresher. If you are lucky enough to get a seat at the counter, you can enjoy all this while watching Bognar in action, commanding his small line of cooks with the confidence of someone who is a master in his craft. You'd think he'd been doing this forever, and in a sense, he has — right here and somewhere entirely different, all at the same time. Nevermind if he's back where he started or in an entirely new place. At Nippon Tei, he's exactly where he needs to be. 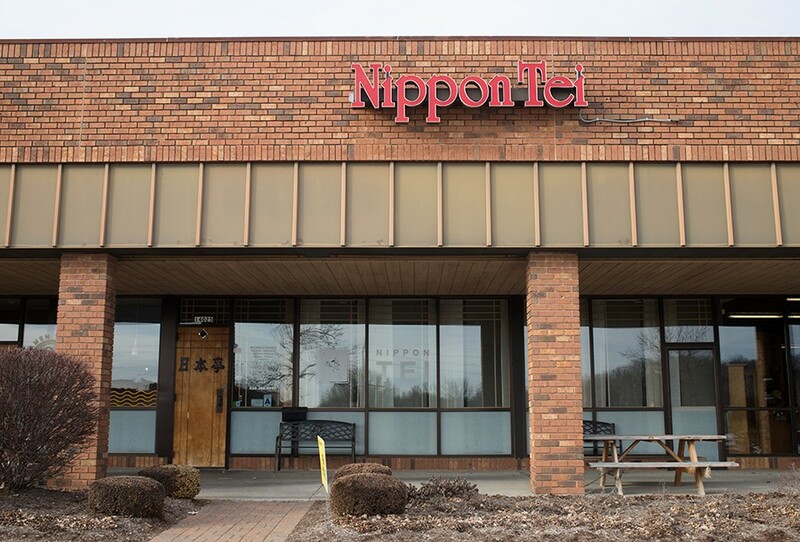 Nippon Tei is located in Ballwin.